We're an 80s Rock/Glam cover band that loves to show you and your guests a great time! 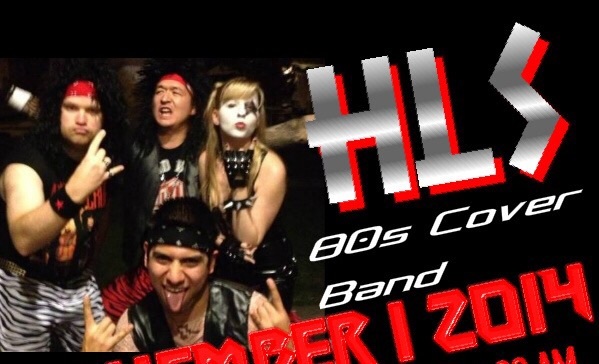 Relive your glory days a sing all of your 80s Rock favorites with us. We have enough material to do up to a 4 hour set. We have the complete package including a professional grade PA system, lights, stage outfits including spandex, big hair, make-up, and even Aquanet lol! Our repertoire includes hits by Motley Crüe, Poison, Bon Jovi, and Def Leppard, just to name a few. We have great stage presence and pride ourselves on getting our audience really engaged. Doesn't matter if your crowd is 50 or 5,000 we will deliver!!! Please note HLS will also travel to Warden, Stratford, Ephrata, Soap Lake, Royal City, Othello, Wilson Creek, George, Quincy, Marlin, Palisades, Lind, Beverly, Odessa, Vantage, Coulee City, Connell, Hartline, Mesa, Mattawa, Lamona, Rock Island, Ritzville, Almira, Eltopia, Malaga, Waterville, Kahlotus, Mansfield, East Wenatchee.